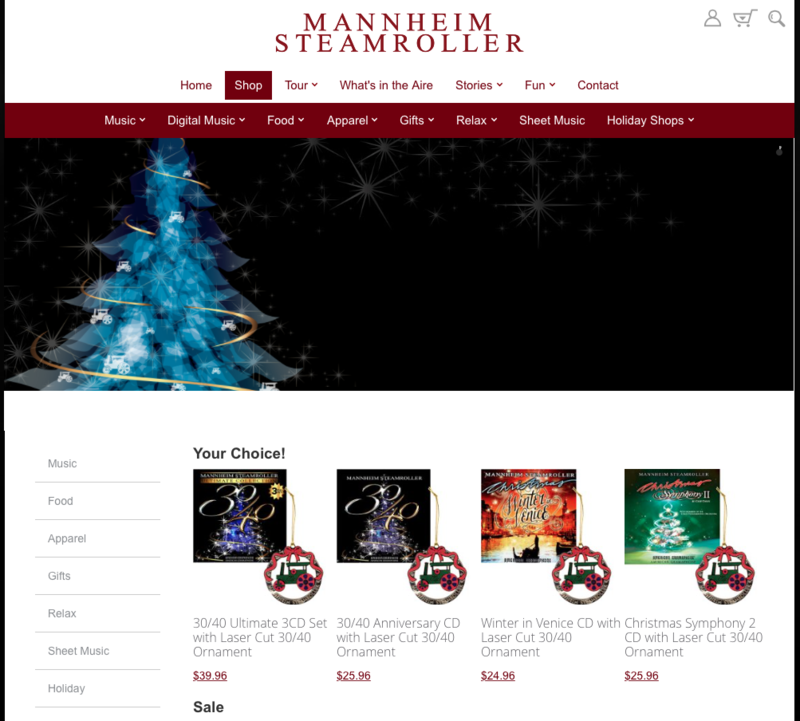 When best-selling recording artist Mannheim Steamroller needed new product descriptions for its website and catalog marketing efforts, InkHarmony was there to deliver. 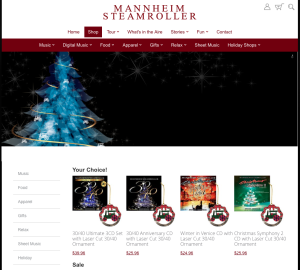 We provided product descriptions and bullet points for Mannheim Steamroller’s music and promotional items including a variety of food and accessory products. 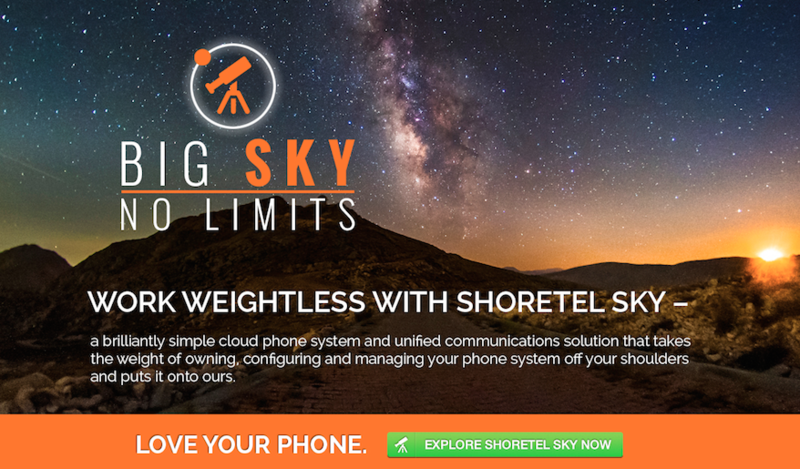 Descriptions were tailored to fit within Amazon’s system as well. Because of our ongoing relationship with Mannheim Steamroller, InkHarmony has written all of the copy for the band’s website and additional marketing materials as well.